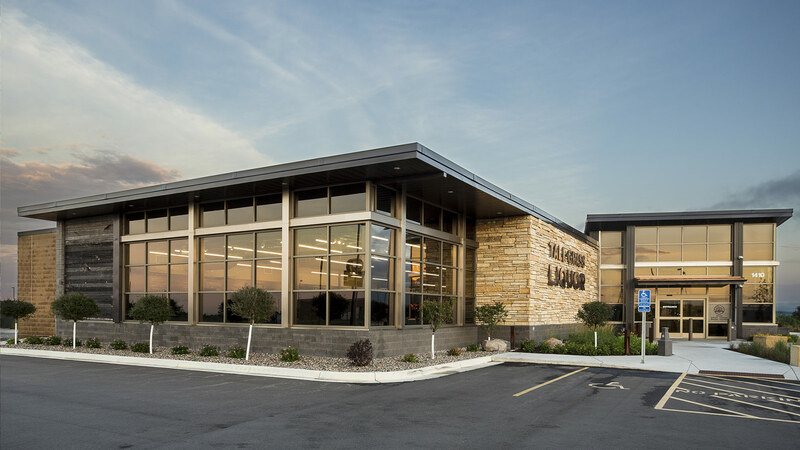 Interested in a strong and bold brand identity, the City of Marshall worked with TSP’s design team to incorporate a prairie theme into its new facility and enhance the shopping experience. 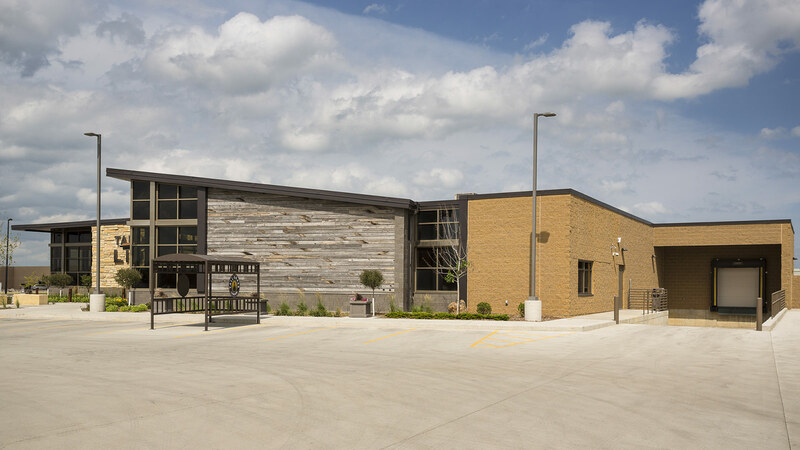 The materials: Native landscaping, reclaimed wood fencing, regional natural stone, polished concrete, exposed galvanized steel ductwork, industrial-type lighting, large colorful artwork, and plenty of natural light. 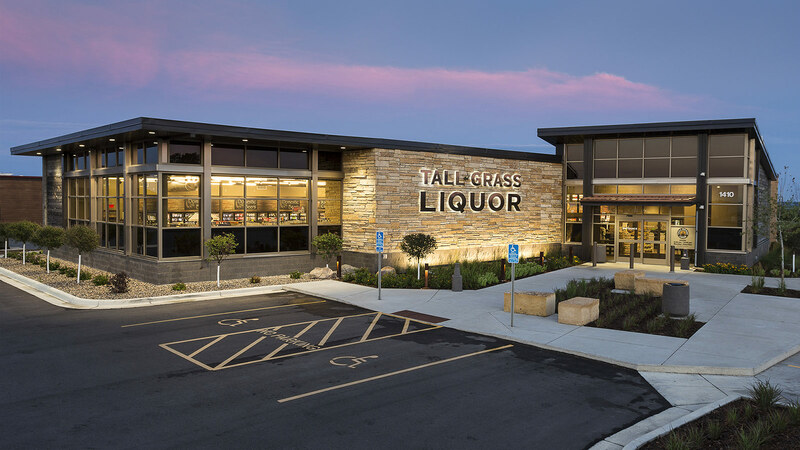 The result: a new liquor store, named Tall Grass Liquor. 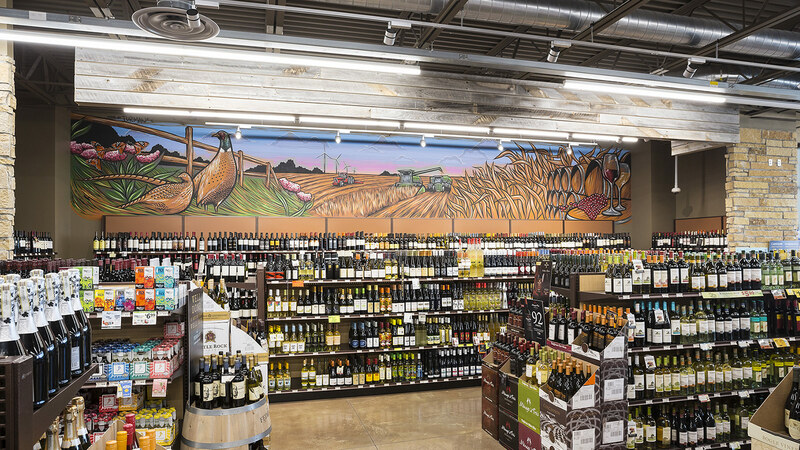 It’s not just an ordinary liquor store. 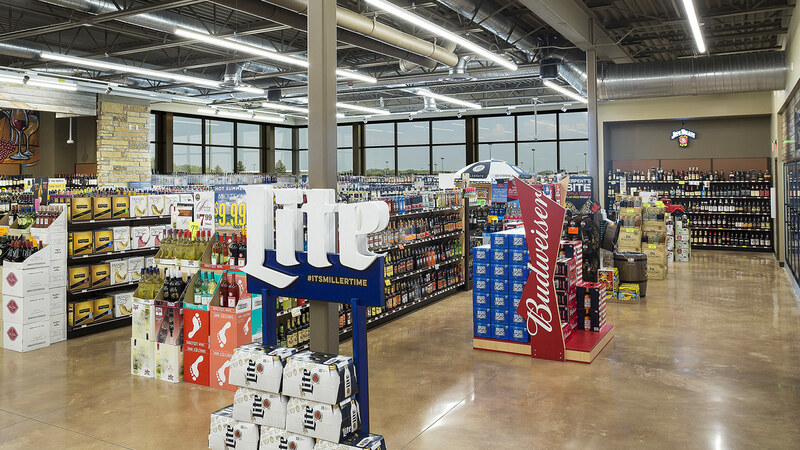 The exterior’s storefront frames hold in place expansive glass panels. 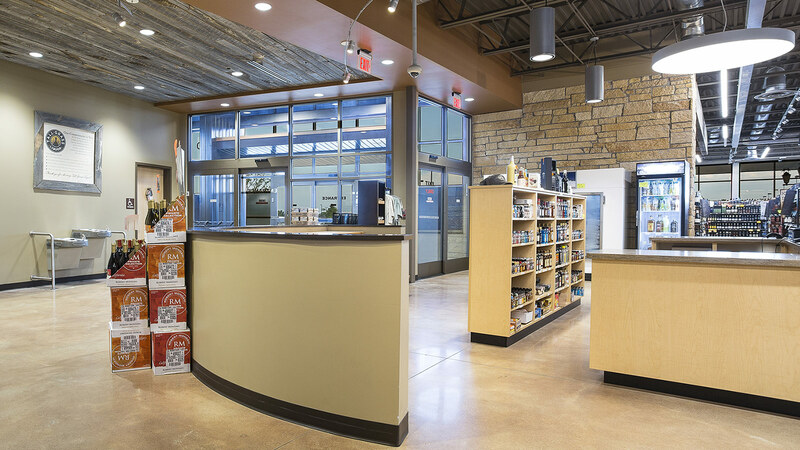 Those windows create an inviting appearance as the customer approaches the store, and in the evening they allow the building to project a warm and welcoming glow. 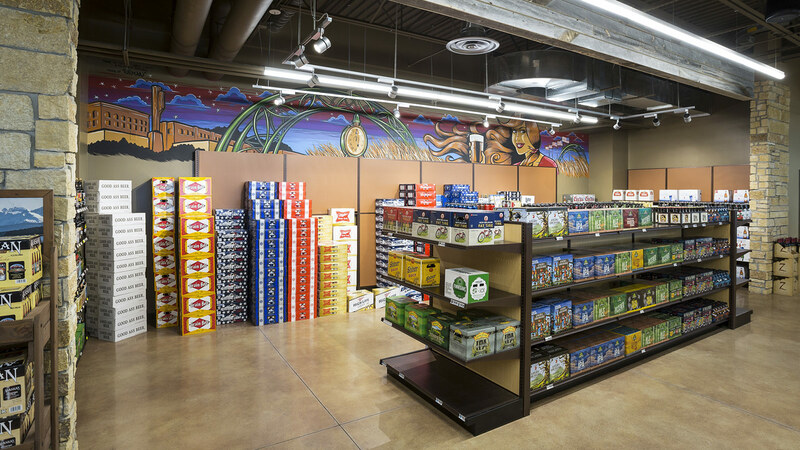 Shorter, customer-friendly shelves throughout the store let in daylight through large clerestory windows and make it easier for shoppers to access the products.